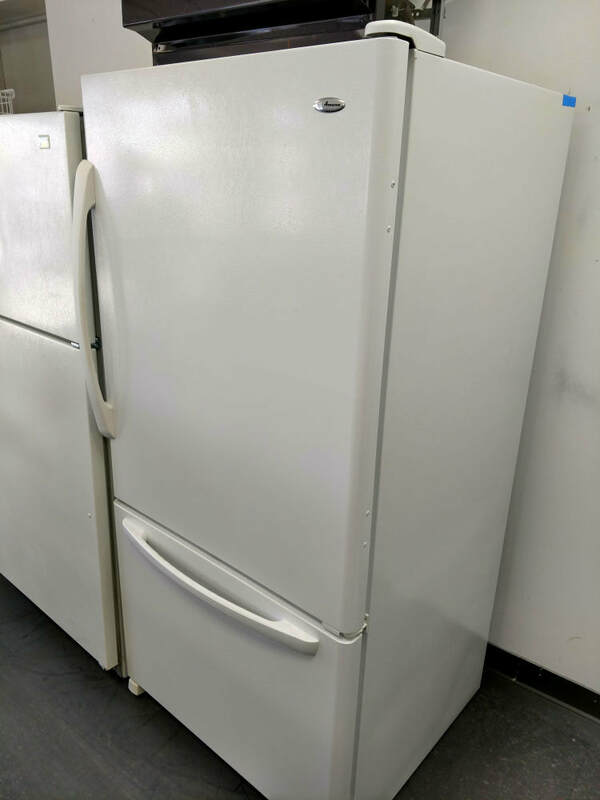 For a great selection of two door refrigerators come to PG Used Appliances in Lanham, MD. Generally, the least expensive and the most common style is a two-door refrigerator with the freezer on top. Because bottom freezers usually have pull out drawers, top freezers usually have more storage space. According to the Dept. of Energy, refrigerators with top freezer refrigerators are more energy efficient, using 10-25% less energy. This style is popular since the most used part is the refrigerator section and with the freezer on the bottom, the fridge is more at eye level and it is easier to find and grab things. Many people find it easier to find things in the pull-out drawers of a bottom freezer than they do in a top freezer, even if the top freezer has shelves or racks. Drawers in a top freezer don’t work because you would need a ladder to see into them. Bottom freezer refrigerators tend to be more expensive than the top freezer models. That takes care of the top and bottom two door refrigerators. Side by Side Refrigerators have some pros and cons. On the upside, they are an elegant design and it is easy to get to most things in the freezer or the refrigerator because both go from the top to the bottom of the fridge. 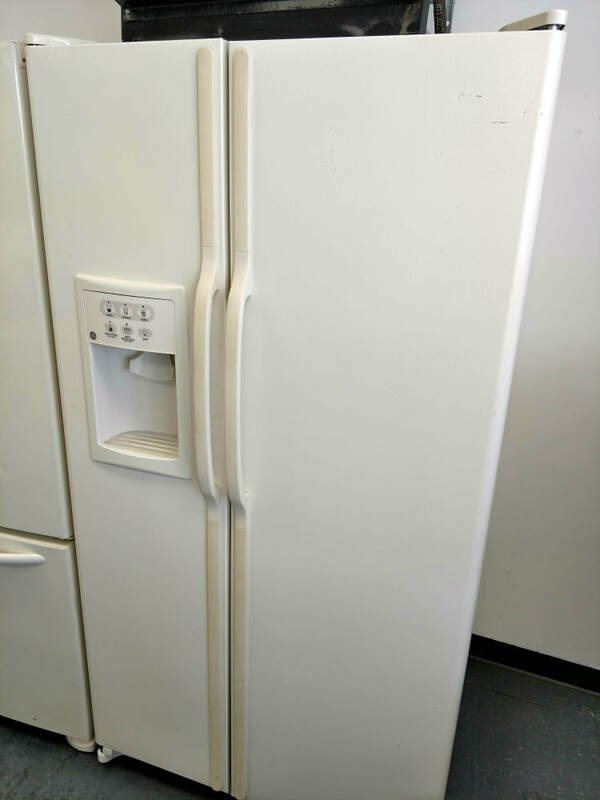 However, neither the freezer or the refrigerator sections are as wide so it can be harder to fit bulky items. Also, they are less energy efficient and potentially less space efficient. 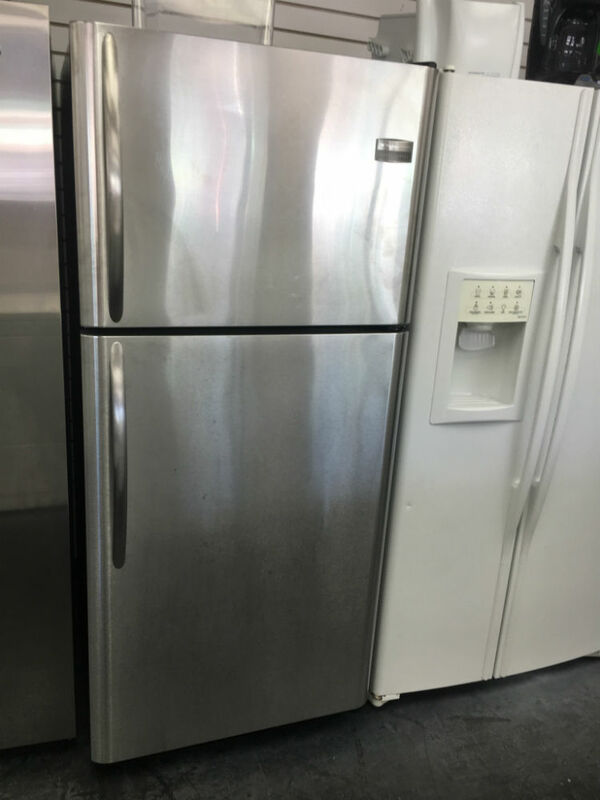 We have the top and bottom refrigerators and the side by side refrigerators in stainless steel, white and black and sometimes other colors. Stainless steel is very popular for the side by side fridges. Some have ice and water dispensers in the door. 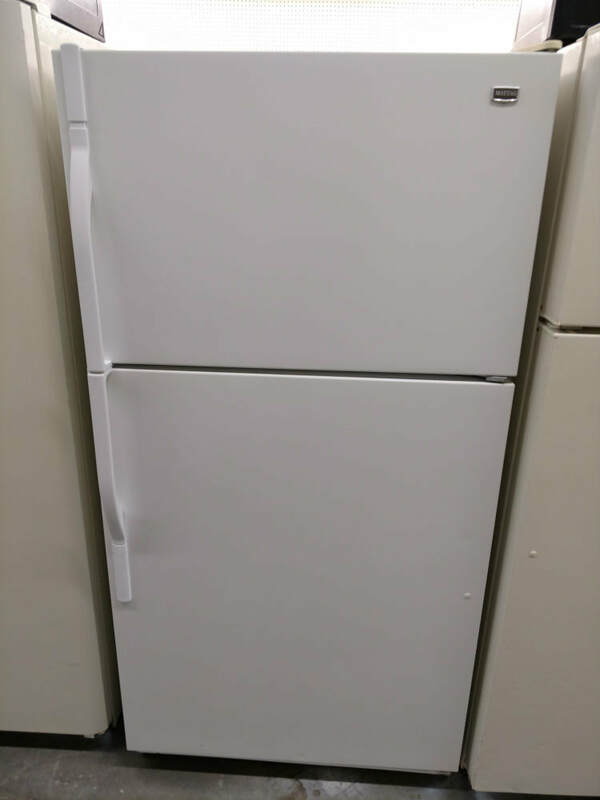 Come to PG Used Appliances for a great selection of two door used refrigerators and other used appliances. You can contact us at 301-231-1923.